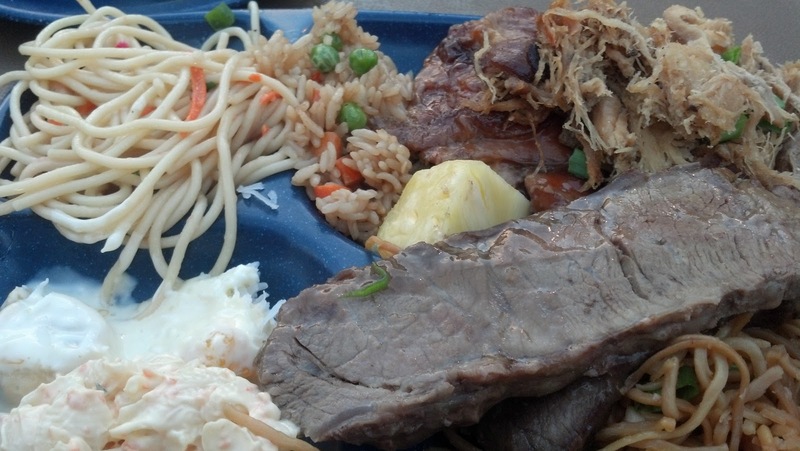 The most enjoyable night of my Maui trip was the night we attended the Royal Lahaina luau. It began with purchasing our $70 tickets, a discounted rate, we were told. We decided to upgrade our tickets to VIP when we arrived for $15 a person, an excellent decision. Why? We were seated in the center table closest to the stage much ahead of everyone else, giving us time to take in the view of the ocean and venue, get our drinks and check out the souvenirs for sale. The view from the Royal Lahaina. A few clouds initially threatened to rain out the event, but the most we experienced was a light, misty rain accompanying the sunshine. It was a bizarre sight to see no clouds overhead and yet feel tiny drops falling on us. 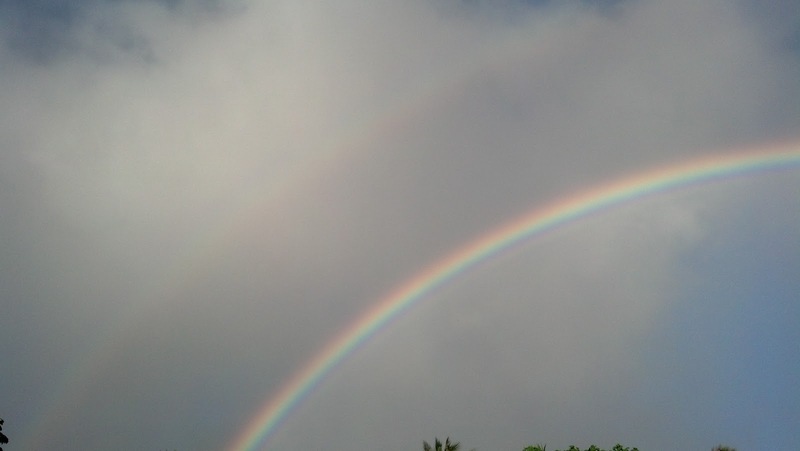 Two vivid rainbows adorned the sky. The precautionary rain ponchos handed out by the staff were hardly necessary. Then the show, and the fun, begins. I admired the traditional clothing, dances and music. I found myself wishing I could move like the gorgeous entertainers on stage. I had a chance to try the moves onstage during the hula lesson, which was hilarious and fun and embarrassing all at once. I enjoyed the experiment of trying out dishes I have never had before. Our bellies were full, and we were content. 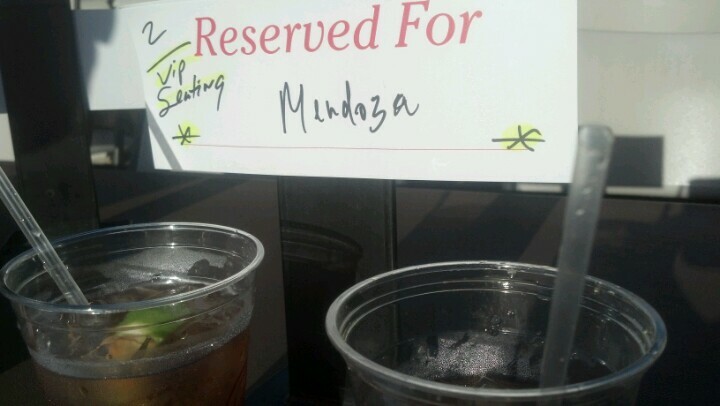 And did I mention VIP seating gets you first in line for dinner? But the best part was getting to know our neighbors at the table and celebrating others’ anniversaries, birthdays, engagements and recent weddings. It felt like a family, if only for a night. 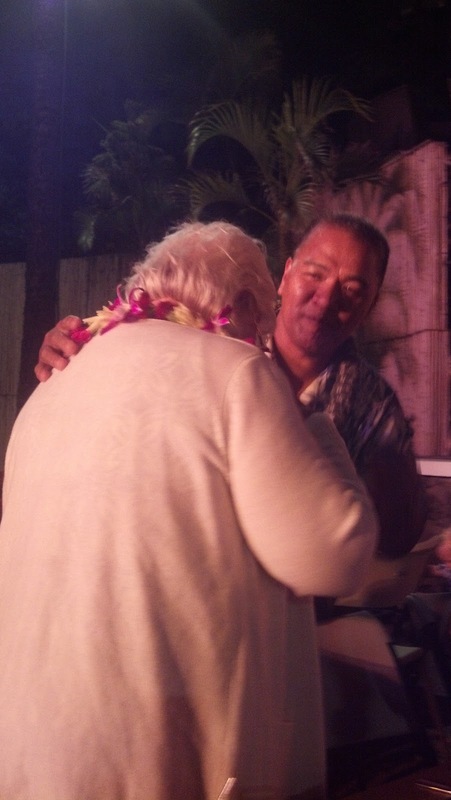 We seemed to meet people from Arizona every day on the trip, and the luau was no exception. Our dinner companions had family in Scottsdale, and it was fun to share bits of ourselves with our new friends. A woman celebrating her 50th wedding anniversary getting lei’d.